When it comes to adjusting seat and handlebar positions these are the2 methods used. Pre-set positions or the micro-adjustable. For spin bikes and indoor cycles. There’s nothing fancy like hydraulics or the like used. 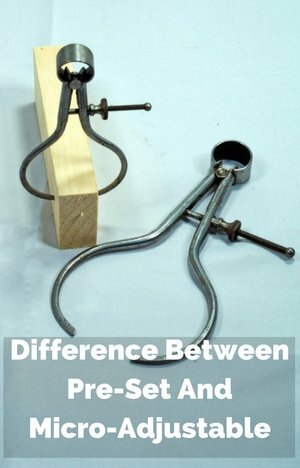 They both work in similar ways using a knob or clamp and slider/pole to adjust positioning. The seat and handlebars positions can be changed vertically and horizontally on many bikes to get the bike to fit them properly for the most effective and comfortable cardio workout. The handlebars are not always adjustable backwards/forwards as it is less important than getting the leg positioning correct and for the most part it’s not required (unless you want the same fitting as your road bike). Some people do find they are cramped or stretched due to this lack of adjustment and don’t get the ride they were hoping for. These adjustments can also help if you have an outdoor bike to get your indoor bike set up in the same way . The pop-pin which is spring loaded and will inset itself into the holes when they aligned. I did discuss these when I wrote about method of seat adjustments for recumbent bikes. They work in the same way as one of those methods. But with spin bikes you have the vertical adjustment as well as being able to re-position the handlebars. These can typically found on affordable bikes up to higher price bikes too. They are effective and a simpler manufacture. When you have the seat in the position you want you probably will need to move it slightly so that the pin insert into the preset hole in the adjustment pole. You can then tighten the knob back up to hold everything in place so there is no shaking or movement as you workout. This can mean you don’t quite get the positioning you want. For most it’s fine but those want to get their settings just right as they might if the bike is part of their indoor training when off the road bike they probably want everything as close as possible. This refers to the fact that you can position the seat or handlebars to the exact position you want and tighten them in place using lever clamps in the adjustable range. It makes the adjustment process easier and slightly quicker. You undo the clamp on the pole, slide the handlebars/seat into position then tighten up to hold into position and you are set to go. These type of adjustments tend to be on the more expensive bikes which is one of the disadvantages. Another possible disadvantage in theory at least is that if you don’t tighten them up fully there is the change that the seat or handlebars may slip as you using them. They are designed so that they are easy to be fully tighten using clamp-lever. The Keiser M3i uses both where you can adjust to where you want and tighten there but also has pre-set holes and a pop-pin so if does slide down it is only a little way before the pin engages in the hole. There are other bikes that have a mixture of adjustments like you have with the Schwinn AC Performance Plus with Carbon Blue Drive Belt – with this set up the vertical positioning uses the pop-pin and pre-set holes to hold the handlebars and seats in position. This is another premium bike used in clubs across the country. The horizontal position for both uses the micro-adjustment method to allow you adjust to just where you want it. Giving you the safety of pins where if you don’t quite tighten up properly the pin should keep the seat or handlebars from slipping down with the possibility of you being thrown off the bike with getting the position of the seat and handlebars for you upper body and leg positioning. There is an advantage with the micro-adjustable positioning in getting the seat handlebars in the optimal position as well as being quicker and easier to do. This can also help in setting up the bike to be the same as your road bike as you might want to do when training for an event. If you are looking at affordable bikes then your choice is limited to using pop-pins and pre-set holes. They’re not as user friendly having to turn the knob, pull it and find the closest pre-set hole but on their own it-s not a reason to spend a lot extra on the bike.